It's time to get dangerous! The 90's cartoon series Darkwing Duck joins the ranks of Pop! Vinyl stylized figures. 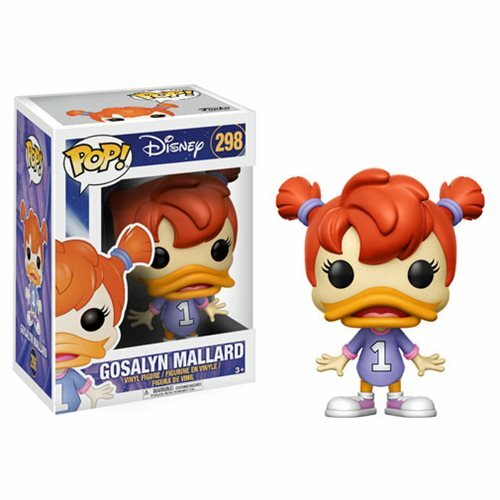 This Darkwing Duck Gosalyn Mallard Pop! Vinyl Figure comes packaged in a window display box and measures approximately 3 3/4-inches tall. Ages 3 and up.